gorgeous (orange) couch, that doesn't seem to match with anything! So that is what I have been doing for 4 days, and I am almost done! and have even finished the ruffle. Just a few more touches and I will share a "before" and "after" photo. Three more prayer flags for a swap at Creative Lenna. and I still have the sewing and final embellishments to do. around healing and peace....all feels very GOOD. Thank you so much Lenna for an opportunity to partake in such a fine swap! What are you creating this weekend ? 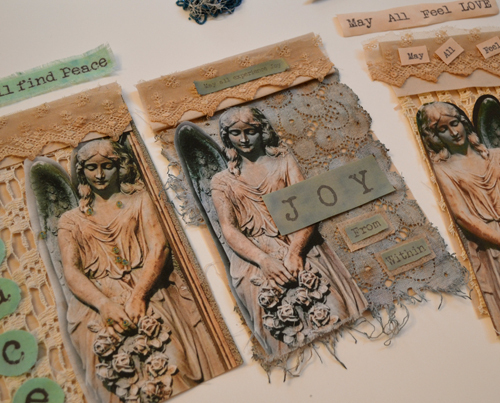 10 more days until I pick winners for my Joyful July Giveaway! Busy, busy lady. Looking forward to seeing the finished sofa. I am already really intent to see the before and after pictures. The Roses in Header are alredy GREAT. so have a nice weekend. Can't wait to see the slipcover. I have been wanting to sew one for a while. 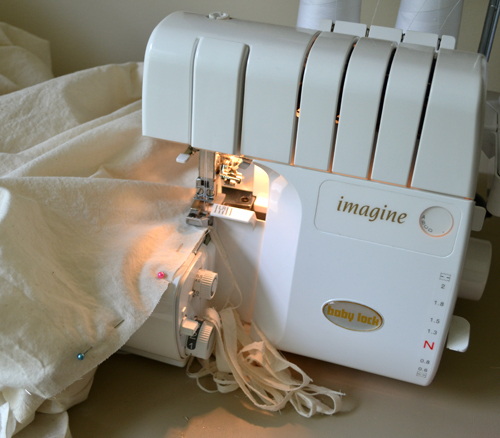 I have the fabric, and also purchased some drop cloths to practice so I son't make a mistake with the linen that I purchased. Did you watch the Miss Mustardseed videos? Hers are really good and very detailed. the prayer flags are gorgeous! and i cant wait to see the finished slipcover ... how brave of you to take that on! your prayer flags are gorgeous-so glad we're in the swap together Terri!Impressive that you're making the slip cover! I used to do things like curtains -years ago- but have since resorted only to sewing on cards or mixed media-no more preciseness for me! I was able to play with abstract art this week for the first time and loved it. You are making me want to redo my house now Terri! Your sofa will be gorgeous, and I am green with envy! Looooove your prayer flags...I have to get started on mine! Oh Terri...such a major project. I am impressed. I guess I'd be too scared to tackle such a huge project. Terry, your prayer flags, looks so very beautiful, I so love them, and the slipcover suits to perfection- it will be a wonderful feeling to have it compleated. You are very talented Terri. I wish I could sew. 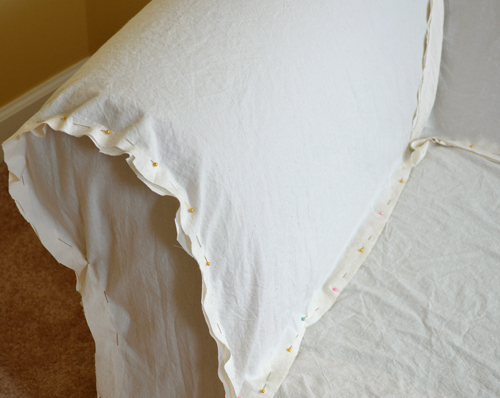 Your slipcover will be as gorgeous as your pretty curtains. 11, Cheap Prozac - Cheap Prozac - fluoxetine online http://www.encuentrocubano.com/ .